First, you’ve got to package this bad boy like your life depends on it. I’m talking miles of bubble wrap. I’m talking whatever this is. I’m talking about paying the money to crate the television once it’s been wrapped within an inch of its life. If you’re going to ship this TV, money should be of no object. Second, get with your freight broker to determine the correct freight class. Shipping with NMFC number 63321 depends on “authorized packaging” as well as the freight’s density, so you’ll need to have your exact dimensions available. Note that these dimensions include all the packaging, crating, etc. If you’re using FreightPros, we’ll set you up with the correct bill of lading so you don’t have to worry about it. Lastly, you’re going to need to get freight insurance. Do not mess with this part of the process. Do not assume the carrier’s insurance will cover your precious television. Most third party insurances have a deductible of around $500, but compare that to your $3,000 75-inch plasma, and you’ll be glad you didn’t skimp on the insurance part. Listen, I don’t want to lie to you. TV shipping is a dangerous game, and one you should really think hard about before you start to play. 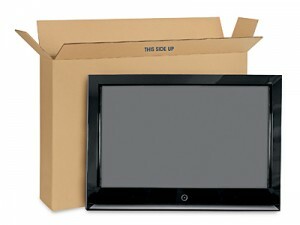 The fact is that freight shipping can sometimes get a little rowdy, and televisions are very fragile. This level of fragility leads to high freight classes, deductibles, and good old fashioned bumps and bruises. But if you absolutely are going to ship that television, these steps will provide you with the best chance of avoiding a TV shipping disaster.